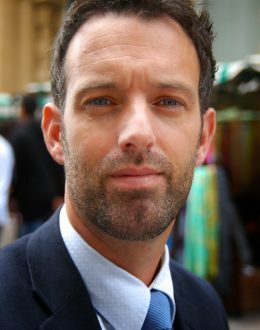 Laurence Carmichael, LLB, LLM, PhD is a Senior Lecturer and the Head of the WHO Collaborating Centre for Healthy Urban Environments. The centre brings together expertise relevant to the health and planning agenda within UWE and collaborates with WHO-Europe’s Healthy Cities Programme as well as with policy-makers and national or European stakeholders and professional organisations in the field. The WHO CC contributes for instance towards the Ministerial Conference on the European Environment and Health Process, in particular promoting the importance of cities and local government in delivering the Sustainable Development Goals. Alan Greer is an Associate Professor in Politics and Public Policy, University of the West of England. Alan is a specialist in the politics of agriculture and food, and currently focuses on the debates around the future of UK agriculture and food policies after Brexit. Dr Elanor Hinton (www.bris.ac.uk/clinical-sciences/people/elanor-c-hinton) is a Senior Research Associate at the NIHR Bristol Biomedical Research Centre, Nutrition Theme. 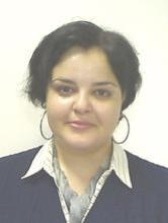 She is acting lead of the Childhood disorders workstream within the unit, as well as public engagement with science lead. Her research focuses on the psychology of appetite and eating behaviours and how they impact on overweight and obesity. Vikas Kumar is Professor in Operations and Supply Chain Management at Bristol Business School, University of the West of England (UWE), UK. He serves on numerous boards and scientific advisory panels for many international journals and conferences. Prof Kumar is working with researchers in the UK, Brazil, Columbia, Thailand and Vietnam on research council funded projects related to organic short food supply chains, sustainable food supply chains, and organic certification. He is working very closely with certification associations such as Rain Forest Alliance, IBD Brazil as well as local NGOs, farmer cooperatives and organic farmers in Latin America and South Asian region. Prof Kumar’s expertise is in sustainable food supply chains, circular economy, short food supply chains, and organic certifications. He has published more than 150 articles in leading International journals and International conferences. Jane Memmott is a Professor of Ecology at The School of Biological Sciences, University of Bristol. She started her research career as a tropical entomologist commuting between the UK and the rainforests of Costa Rica. She then discovered the delights of a life of constant summer and spent the winters working with the weed biological control team in New Zealand. She currently runs a research group at Bristol that uses ecological networks as a tool for asking about the impact of environmental change. She works in a variety of research fields including the pollination ecology, agro-ecology, invasion ecology, urban ecology and restoration ecology. Field sites range from English meadows to Hawaiian swamps and from Scottish islands to inner cities. Working with conservation practitioners is a key part of her approach. Recently she led a consortium of 28 people studying urban pollinators – a team who constructed 36 plant-pollinator networks each 1km2 and planted 60 large urban meadows in four cities. Running a research group is the most enjoyable part of her job and her group hosts members from all over the world. When not working, she is usually gardening or relaxing with her family. Karen specialises in the delivery of complex transformational programmes and business development, and have an established track record in the UK and international health sector, drawing on my background in health economics, programme and project management and consulting. Her current role as Head of Programme Management Office (PMO) in North Somerset CCG is in the Bristol, North Somerset and South Gloucestershire PMO which aims to align business processes across 3 health economies, and deliver £90m of savings annually. She also coordinates the RightCare programme of benchmarking work across the BNSSG STP footprint, which aims to address unwarranted variation in price and quality of healthcare across England. 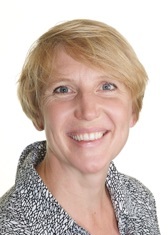 She also led the Diabetes Transformation Programme for Bristol CCG between February 2014 and November 2015, working closely with patients and local clinicians to deliver a world class diabetes service in Bristol. 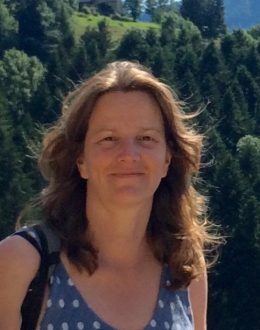 Karen has worked in international health and development since 1998, most recently as an independent consultant based in Bristol, specialising in proposal development, work planning, advocacy and campaigning, and programme development. Karen chaired the Bristol Food Network from November 2015 until June 2017. She stepped down due to increasing work pressures, and is delighted to be able to contribute through the Expert Advisory Panel. Dr Naomi Millner is a lecturer in Human Geography based at the University of Bristol. She is also co-founder of the Bristol Hospitality Network, which supports destitute asylum-seekers, and a keen fiction writer and storyteller. Naomi’s areas of food expertise include historical food cultures, globalising food systems, agroecological practices and food justice debates. Naomi’s research focuses on global environmental politics, with a particular emphasis on food production and forestry management and questions of environmental justice. 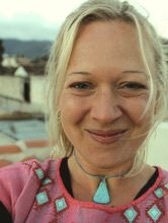 Her current projects are based in Central America (Guatemala, Mexico, El Salvador) and the UK, and involve close collaboration with social movements, NGOs, governmental organisations and policy-makers. Each project explores different aspects of the ways that food production and forestry management are regulated, and the ways that policies and different scales (regional, national, international) interact with community-led forms of governance, or community-based forms of expertise. For example, Naomi studies how traditional agricultural know-how and local expertise impact (or do not impact) national food policies in Central America, and is collaborating with organisations there to establish forums that enable dialogue between ‘experts’ of different backgrounds (scientists, farmers, academics, governors, teachers, policy-makers, etc.). Naomi’s work in Bristol has included collaboration with the Productive Margins research programme, which is working to inform policy practices through engagement with people with direct experience of social marginalisation and poverty. The food working group in this programme was a collaboration between Bristol University, Knowle West Media Centre, the Single Parent Action Network and the Community Kitchen at Coexist, who explored the question together, ‘Who gets to decide what’s in my fridge?’ Installations and pop-up events, including the ‘Somali Kitchen’ community interest company, emerged from this collaboration, directing attention to the way fast food outlets are regulated, urban streets are designed, and giving rise to ten principles for community-led urban design. Naomi’s future interests include the democratisation of food policy practices; understanding how international subsidies work and how they might be aligned with environmental and food justice priorities; and developing agro-ecological networks to evidence and support alternative and small-scale agricultural practices. Patricia Lucas in a Reader in Child Health Research in the School for Policy Studies at the University of Bristol. Her background is in Psychology and this informs my approach to my work as a behavioural scientist. Her primary research interests are in the reduction of inequalities in health in early childhood (see bonee.org), and access to good food is a fundamental part of this. She uses mixed method research to undertake policy relevant research including into Healthy Start Vouchers, weight management services for children, packed lunches in early years settings and school breakfast clubs, and is currently collaborating with Knowle West Media Centre and a group of mums from Knowle West Childrens Centre to experiment with food and cooking. Dr Angeliki Papadaki, Senior Lecturer in Public Health Nutrition at the Centre for Exercise, Nutrition & Health Sciences, School for Policy Studies, University of Bristol. Angeliki’s research focuses on understanding the factors that influence dietary behaviours and developing and evaluating strategies to change dietary habits to prevent chronic disease. Her specialist area of research is the development of new approaches to promote the Mediterranean diet. Her research expands to involve the development of interventions to promote healthier eating in children, adults and older adults. Maud Perrier is Senior Lecturer in Sociology at the University of Bristol, UK. Her research interests include motherhood, feminism, care, neoliberalism, class, gender and pedagogies. 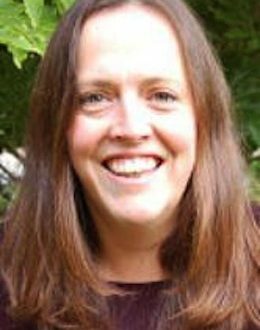 She is currently investigating women food social entrepreneurs in Sydney, Australia and Bristol, UK with Elaine Swan (Sussex University). She also teaches a third year Sociology undergraduate course called ‘The Feminist Politics of Food’. She has done research with maternal entrepreneurs, young mothers and women academics and am always interested in the important but often invisible care work women do. 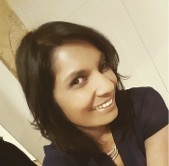 She has published her research in Sociology, Sociological Review, Sociological Research Online, Australian Feminist Studies Continuum: Journal of Media and Cultural Studies, Humanities, Gender and Education and Feminist Formations. Oliver’s passion for great food and drink, the environment and nature comes from early childhood experiences where he learnt to grow, gather and cook produce and make his own wines. In 2008 his drive and experience came to fruition when he joined Bristol’s iconic Watershed to develop and deliver its Plot to Plate Ethos, which transformed the catering offer to work to an ethical and environmental remit whilst significantly increasing profits and turnover. Oliver works with entrepreneurial flare, enthusiasm and a creative way of thinking and has expertise in catering systems, processes and controls, budgeting, seasonal menu engineering, marketing, talent development, training and the ability to lay out strategies into workable timeframes. Over the last eight years, working at senior management and at board level, he has assisted various organisations develop their catering offer to work more seasonally and ethically whilst increasing profits and turnover. 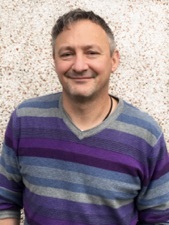 Additionally he has worked with Knowle West Media Centre as a consultant and lead compere in “Wild Thing – Foraging debate” & “Who decides what’s in your fridge” and as a coordinator for Kitchen on Prescription. Tom Stedall, research fellow at the Schumacher Institute, an independent think and do tank for environmental, social and economic issues. Tom holds a degree from the University of Cambridge and a PhD from the University of Bristol, both in physics. His doctoral research lay at the interface of physics, computing, biology and medicine. He also studied philosophy and religion at the California Institute of Integral Studies in San Francisco. His deep interests are philosophy and sustainability, and is particularly interested in sustainable energy and food systems, and runs an ethical web development company working in these areas. 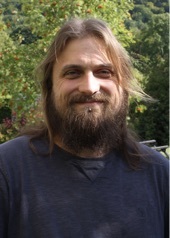 Particular interests include: transforming Bristol’s food system; ‘joined up’ approaches to ecological and social good, especially through food systems; land rights and regenerative agriculture; economic experimentation and ‘recycling’ of privilege; and systemic global injustice and local responses. 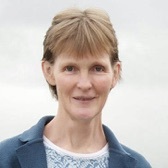 Dr Claire Weeks is a Senior Research Fellow in Animal Welfare at the University of Bristol’s Veterinary School, where global food security is a main research theme. As a trained human nutritionist, Claire is interested in encouraging people to make healthy food choices. She recognises that human and animal health and welfare could benefit from overall reduced consumption of meat and animal products. It then becomes an affordable and more sustainable option to select those produced in a more sustainable and welfare-friendly way. Having worked with the Soil Association Certification for over 17 years, Lee manages a diverse range of relationships, partnerships and projects for the UK’s best known organic campaigning and certification organisation. By supporting capability building across the organic industry in retail, brand, export and foodservice, Lee has significantly contributed to growing the UK organic market from -9% to +6% (>£2.2B) over 8 years. Benefiting from experience in both food and textile industries, Lee is a trade expert in sustainability, responsible practice and organics, who is passionate about businesses that strive to reduce impact and return value to society and environment.